There are few types of items that I own too many off. Cardigans, for starters, probably take the cake, but I also have an unnecessary amount of polka dots and stripes. Two things that I gravitate toward anytime I'm shopping, though, are white dresses and Peter Pan collars. So it's no surprise that one of my most worn items is this little white collared dress that I got at Nordstrom Rack a couple of years ago. It's undeniably flattering, and it's possibly the most flattering thing I own. Here are six of my favorite ways (not in any particularly order) that I've worn it, but don't be surprised if the list keeps growing. So pretty! I always gravitate towards white dresses too..can't get enough! 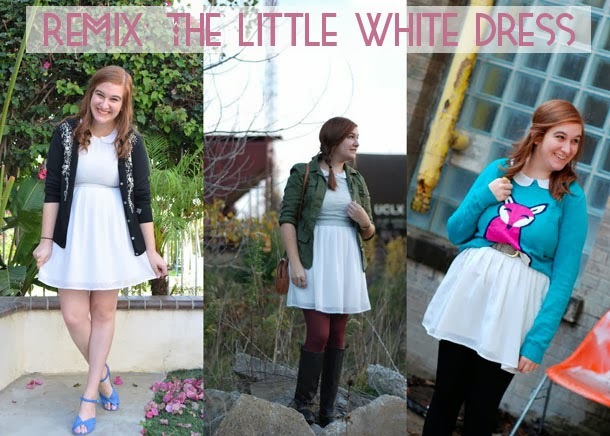 I love the little white dress! Very adorable outfits! 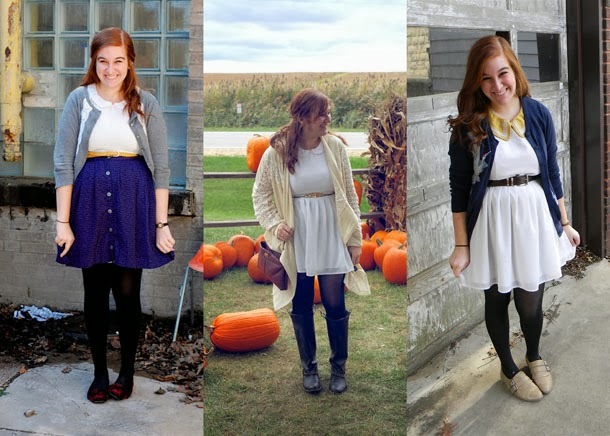 I love how you've taken it through the seasons and styled it with so many cute layers. I'm thinking I need a perfect white dress like this! LWD are so versatile. You look lovely in every remix of this! That is such a cute white dress! Some beautiful photos! I love night photos! A neutral dress can really go a long ways, huh? 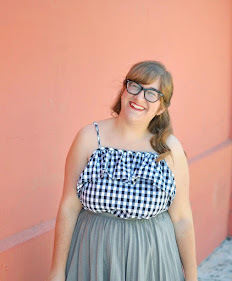 Love all the ways you've worn this pretty dress! equally cute as a top, or peaking out as a skirt under a sweater. and of course, as a dress! it's so very you, and I love it! remix posts are a great idea while we're in a weather rut. hope you are having an awesome start to the week, Elana! This dress is so pretty! I can see why you love it so much!